There are many factors that make up the Hindu identity, and they help outline the similarities among all Hindus, and actually help unify us in that identity and purpose in life. So let us go through some of the most important points. 1. First of all, all Hindus can be said to follow Santana-dharma, and Dharma is the path to complete balance and harmony. But that balance is based on realizing our spiritual essence, which means our spiritual identity beyond the body and the ever-changing material existence in which we find ourselves. And the processes for spiritual realization, there are more than one, are described in the Vedic texts, which is our second point. 2. Hindus accept the authority of the Vedic texts. This is the foundation of our Dharma, and to not accept the authority of the Vedic literature is to be avaidika. We don’t have only one book, but a whole library that describes and helps us understand the difference between matter and spirit, and how we are essentially spiritual beings, but also the different ways of understanding the Absolute Truth, or God. One of the unique features of the Vedic literature is that it is based primarily on questions and answers. It is not a religious dogma that must be accepted without question, but we find that we can ask any question we want, and chances are it has already been asked and answered somewhere in the Vedic shastra. An example of this is found in what is probably the most revered and popular of all Dharmic books, and that is the Bhagavad-gita. This is considered the direct words of the Supreme Being. Every Hindu respects the Bhagavad-gita, and every Hindu should know it and follow it. The instructions within are based on Lord Krishna answering all of the questions from Arjuna. And the answers are given in a way which enables Arjuna to decide what is best for him to do. Furthermore, the Bhagavad-gita is a call to action by Lord Krishna to Arjun, in the same way that every Hindu must stand up to do something for Vedic Dharma if you are a follower of the instructions in the Gita. 3. From the Vedic texts we get our Hindu or Vedic philosophy. And this especially incorporates such things as the process of samsara or reincarnation, and the law of karma. Plus, on the basic level, this also includes the yamas and niyamas, such as the principle of ahimsa or nonviolence to other living beings, which combines with the law of karma to culminate in the reason why many Hindus are vegetarian. The yamas and niyamas include: Ahimsa–non-violence toward all creatures. Ahimsa promotes and is developed through love and respect for all life. Ahimsa also means to live peacefully with all other beings, not just humans. Asteya–non-stealing and avoiding that which is harmful to spiritual merit. Satyam–truthfulness in thought, word, and deed, and not hurting anyone by one’s words. Brahmacharya–following the eternal principle of Brahma, or the control of sensual passions in thought, word and deed. It also means celibacy and continence, which promotes one’s determination and singleness of purpose. Aparigraha–abstinence from collecting material things. Or, as they say, high thinking and simple living. Shaucha–purity and cleanliness of mind and body, keeping it as a temple. Santosha–satisfaction or contentment of mind with what one has without undue endeavor. We should be satisfied with whatever we get within the Dharmic (lawful) means. This refers to internal and mental contentment and not merely pleasure from external sources or objects. Tapas–voluntary austerity and tolerance in body, mind and speech for a higher cause. Tapas also means to tolerate various disturbances or urges in life while remaining devoted to our spiritual progress. Swadhyaya–self-analysis, introspection, scriptural research, and reflection to understand and perceive who and what is our real identity and how we are progressing. The last of the niyamas is Ishwara-pranidhana–acceptance, devotion, and surrender to God, or the offering of the fruits of one’s actions to God. Such surrender is one of the highest principles of Hinduism, and also the goal of yoga. Also, Vasudhaiva kutumbakam is another principle that is unique to the Hindu identity which means that the whole world is one family. You will find this almost no where else. 4. This leads us to the Hindu connection with Yoga. The principle of Ishwara-pranidhana, or acceptance, devotion, and surrender to God, or the offering of the fruits of one’s actions to God, as mentioned above, is also the central goal of yoga. Numerous Hindus practice yoga, but the prime point here is that without the Vedic tradition, there would be no yoga. Yoga and the process of meditation is mentioned but also thoroughly described in various Vedic texts, such as some of the Upanishads, the Bhagavad-gita, the Bhagavata Purana, and others, all of which date back thousands of years. Hatha yoga alone is described in such early texts as the Hatha Yoga Pradipika by Yogi Swatmarama, the Gheranda Samhita by the sage Gherand, and the Shiva Samhita. Lord Shiva is said to be the originator of the system found in the Hatha Yoga Pradipika. This is highly regarded by the Nath tradition founded by Gorakshnath and his teacher Matyendranath, who was accepted to be a disciple of Lord Shiva. Yogi Gorakshnath wrote the Goraksha Samhita. A later text on yoga is known as the Hatharatnavali by Srinivasabhatta Mahayogindra. Of course, most people are aware of the Yoga Sutras by Patanjali in which he codified the steps of yoga many years ago. In this way, yoga is an integral part of the Vedic path. 5. This further develops into many of the customs and rituals we perform, and the holidays we observe, most of which are included in part of the process for raising our consciousness to a more spiritual platform. This is always the underlying purpose of all of the customs and traditions of the Vedic path. Simple rituals may include the offering of a coconut to the temple deity. The coconut is very symbolic in that the shell represents the offering of our body or physical shell, while the white fruit inside is the offering of our mind and consciousness, and the juice represents the offering of our soul. Then the priest takes it and offers it, and sometimes breaks it open, and then gives it back in the form of deity prasada. This represents the complete circle of offering ourselves to the deity, having it accepted, and then receiving the blessings back from the deity. The aarati is another common ritual we see in the temples. This is offering the deity the four elements of earth, air, fire, and water in the items that are offered, but some elements have more meaning. The aarati ceremony, as when it is used in the process of bhakti or devotional yoga, is also a process of engaging the soul in direct service to the Lord through the use of the body. The ritual is thus completely spiritual and therefore beyond time and space. So in that condition, the soul of the person engaged in the ritual and all souls observing it have the potential of rising above the material energy and its influence. In this way, it provides the observer the opportunity to become immersed in the spiritual atmosphere and one’s relationship with God. Thus, the ritual is a means for the soul to go beyond time and place, reaching a completely transcendental state. The aarati ceremony consists of offering of a ghee lamp to the deity or object of respect. In offering the lamp to the deity, it is held in the right hand and waved in a clockwise motion, 4 times to the feet, 2 times to the waist, 3 times to the head, and 7 times around the whole body. We use the lamp to light the form of the Lord who is in fact the source of all light. This was particularly significant before there was electricity and when temples were lit by lamps. The aarati ceremony would especially provide light to various parts of the deity when the priest would wave the lamp in front of it. Some of the older temples in India are still like this today. It is also a way of adding intensity to the prayers and the image of the Lord as we meditate on each limb of the Lord. Besides, the aroma of the burning ghee is quite pleasing, which is another reason why we offer this to the deity. Afterwards, the ghee lamp is passed around the room so that everyone can place their hands over the flame that has been offered to the deity, accepting it as holy remnants called prasada, and then we touch our hands to our eyes or head. This is a gesture of accepting the light of knowledge, and the light which revealed the Lord, and raising our hands that have touched the flame to our forehead as a sign that it may light our own vision and thoughts and that they may be divine and noble. Holidays include an assortment of pastimes and customs that also help in ways for our own personal and spiritual development. These include such festivals as Makara Sankranti, or Maha Shivaratri, Holi, Shri Rama Navami, Hanuman Jayanthi, Deepavali, or Krishna Janmashtami, the celebration of the birth of Lord Krishna. This festival is celebrated on the eighth day of the dark fortnight in August-September. Temples and homes are beautifully decorated and lit. Notable are the cribs and other decorations depicting stories of Lord Krishna’s childhood. In the evening bhajans (devotional songs) are sung which end at midnight, the auspicious moment when Lord Krishna was born. Krishna Janmastami is a festival that is held in the typical pattern of many of the holidays, which is first preparation, purification, then realization, and then celebration. So, on the day of the festival, people will fast and spend the day focused on Krishna, meditating and chanting the Hare Krishna mantra and other prayers or songs devoted to Lord Krishna. Often times, there will also be plays and enactments of the birth and pastimes of the Lord. Thus, offering their obeisances, focusing their minds on Lord Krishna, the devotees hold themselves in such single-pointed concentration throughout the day. This provides the process by which people understand more about Lord Krishna and our connection with the Supreme. Then the celebration is observed when, at the stroke of midnight when Lord Krishna takes birth, a midnight aarati ceremony is performed. Flowers are showered on the deity of Lord Krishna, or the deities are dressed in new outfits or decorated with numerous flowers on this day. And then the prasada feast is distributed to everyone. So these and other holidays instill the meaning and purpose of our Vedic customs for spiritual upliftment and create positive samskaras in the minds of our children who also enjoy such holidays. 6. This leads us next to the Mandirs or temples which are the prime preservers and protectors of the Vedic culture and its customs and rituals. But they are also the prime sources of dissemination of the Vedic knowledge as well. That is also why they were and should still be the centers of our community and our Hindu identity. They are the centers of our sacred knowledge. The first temple is our body where we, as jivatmas, live along with the Paramatma. The next temple is our home, and to help us remember that and practice our rituals and customs, we often have a temple room in our house. But then the third temple is our Mandir where we join together with others to participate in our customs. Vedic temples are often ornate and beautifully carved with images of the Divine and many other aspects of life adorning the exterior. They may also have numerous paintings of rulers who helped establish the temple, or of saintly men of the tradition, or the tales from the Vedic legends and stories. Many Hindus go to the local temple everyday, or a few times during the week. The temples are an expression of all forms of community life, but with emphasis on the Divine. Rituals of all kinds are performed in the temples, from regular worship to weddings to blessings of children, or for those who have died. Many people also give much money to temples for their upkeep and worship as a service to God. Others may give items such as fruits, grains, vegetables or ghee for the offerings to the deities in the temple. This is considered a way of using our life as a service to the Divine, and thus a way of meditating on the Divine in the temple while going about our daily work, shopping, or other activities. Holy festivals are often observed there, which may include music and dance as well. The architecture of the temple is also styled in a way to mirror the universe and its forces. It is like the launching pad from which a person can more appropriately meditate and reach God. However, a temple can be quite simple as well, noted mostly for the sacred atmosphere inside that helps one focus on the Divine and the purpose of life. Thus, a temple is very important for most Hindus. Must also help in the problems of the members of the Hindu community and provide confidential advisors for such problems of all sorts. 7. In the mandirs we also observe other aspects of our identities, such as to have darshan of the deity, or in the clothes we wear such as with saris, or dhotis and kurtas, as well as with diet, Vedic art, Vedic dance, and so on. Even the act of seeing the Deity, or darshan, is not simply a matter of viewing the Deity in the temple, but to one who is spiritually advanced it is a matter of seeing the Deity and being seen by the Deity. Again, it becomes a complete process of giving and receiving. It is experiencing the Deity and entering into a personal, reciprocal exchange with the Supreme in the form of the Deity. At that stage, you may view the Deity, but the Deity also gazes at you, and then there is a spiritual exchange wherein the Deity begins to reveal His personality to you. For those who have experienced such an exchange with the Supreme or His Deity, at this stage the worship of the Supreme Being in the Deity moves up to a whole different level, with no limits as to the spiritual love that can be shared between the devotee and the Deity. Let’s take another example, such as Vedic art. Vedic art is another ancient development that still holds much appreciation in modern times. Art in the Vedic tradition was never a mere representation of an artist’s imagination. It was always a vehicle to convey higher truths and principles, levels of reality that exist beyond our sense perception. It was always used to bring us to a higher purpose of existence and awareness. In this way, it was always sacred and beheld the sacred. Still today it is used to allow others to enter into a transcendental experience. It may also present the devotional objects of our meditation. Vedic paintings or symbols are unique in that they can deliver the same spiritual energy, vibration and insight that it represents. In other words, through the meditation and devotional mood of the artist, the art becomes a manifestation of the higher reality. This is also why there is much training that goes into being such an artist. In this way, the painting or symbol becomes the doorway to the spiritual essence contained within. They are like windows into the spiritual world. Through that window we can have the experience of darshan of the Divine or divinities, God or His associates, or whatever is represented in the painting. Now let us take a brief look at Indian dance. Indian dance is of a wide variety, but many forms are used and taught in the Mandirs till today. As with art, dance in India was not merely an expression of an artist’s emotional mindset or imagination, but was meant to be an interpretation or conveyance of higher spiritual principles or pastimes of the Divine. In fact, in the Vedic pantheon Shiva is known as Nataraja, the king of dancers. Shiva’s dance was also not without a more significant purpose. His dance was based on the rhythm of cosmic energy that pervades the universe, and the destruction of the illusory energy by which all souls are given the opportunity for release from the illusion to attain liberation, moksha. In this way, traditional Indian dance is highly spiritual and often accompanies important religious rituals and holy days and festivals. Vedic dance goes back to prehistoric times. Bharata Muni wrote his Natya Shastra, science of drama and dance, over 2000 years ago. In it he explains that it was Lord Brahma, the secondary engineer of the universal creation, who brought dance (natya) and drama to the people of Earth millions of years ago, shortly after the Earth was created. Many temples, especially in South India, were known for maintaining large groups of dancers that performed at festivals and religious functions. 8. Respect for the cow is often another aspect of our Hindu identity. It is sometimes said that Hindus worship the cow. But the cow represents the mode of goodness and the generosity and giving disposition that all Hindus respect in life. Cows are a symbol of the Dharma. They are gentle and tolerant, and selflessly provide service to others. They are viewed as being one of our mothers since the cow supplies milk for the benefit of other creatures and for human consumption. The cow symbolizes the reciprocation between human society and nature, for which gratitude is an appropriate response. The cow is also Lord Krishna’s favorite animal. Thus, there may be festivals in which the cow is decorated and respected in recognition of this giving nature. After all, the cow and bull only take a little grass or grain and give back so much in the form of labor, milk, inexpensive fuel, etc. The bull is viewed like a father since he helps plow the field to grow crops. The bull is still used on small farms in India and elsewhere for plowing fields or helping produce food through its working capacity. The cow’s milk can also be made into cream, butter, yogurt, ghee, etc. from which many other preparations can be made. Because of this and many other reasons the cow is respected by all Vedic Dharmists. Thus, respect for the cow instills one with appreciation for the traits of gentleness and sensitivity, and for the benevolence that God provides through animals like the cow and bull. This is but a reflection of the care and protection that should be given toward all life, and the reverence and respect for the environment and nature. 9. The next point is our connection with India, Bharathvarsha, the homeland of the Vedic tradition. For India, we should work and do what we can to keep it as the homeland of a dynamic and thriving Vedic tradition. There are increasing challenges to this, and if I may say so, the increasing apathy of many Hindus in India is not helping. We need to value our identity and work to preserve what remains of the culture. This is but the start of what could be an extended conversation, which I have dealt with in other articles and books. 10. Furthermore, in India we have the sacred rivers, such as the Ganga and Yamuna that are so much a part of the Vedic tradition and Hindu identity. These rivers are related to be extreme importance in the oldest Vedic texts. Therefore, once again, we should work and support those efforts that help preserve and protect these rivers from the pollution that is killing these rivers. We should see to it that their importance remains a part of not only ordinary life but also the spiritual life for which many people look toward India. We should not let things deteriorate to the point where we lose interest, or things like temples and the Ganga and Yamuna lose their value, which leads to the forgetfulness of the Vedic tradition and the loss of the Hindu identity. Therefore, herein are some of the common attributes, practices and philosophical basis with which all Hindus can identify and base their lives and become a united force in the world for preserving and protecting the Vedic traditions. 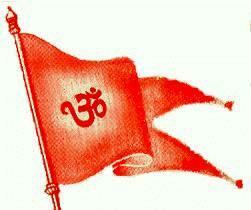 We should understand that this Hindu and Dharmic identity should play an important part in our lives. For example, we still have a sizable population of nearly one billion Hindus around the world, but have you ever wondered why we are still not as formidable a force as we should be? In places like America, Indians, most of which are Hindus, are one of the wealthiest ethnic groups in the country. We are certainly gathering influence here, and many are those who are entering politics and gaining influential positions, but we still have not become as formidable a force in the world as we could be. Why is that? It’s simple really. It’s because of a lack of organized effort, too much apathy, but primarily a lack of unity amongst us. It is this common Hindu or Dharmic identity by which we can unite and work together cooperatively. With a united force and through working together, we could more easily see to it that laws in government are passed that help defend Hindus and the factors listed above in our identity, rather than allow laws that take our freedoms away. If we were a united and pro-active force, politicians would be scrambling to get our favor. We would get respect from politicians. We would create a greater recognition on the importance for them to acquire the Hindu vote, especially in India. We could also have more control over the media that today thinks that being secular means to be anti-Hindu. We would get non-Hindus or critics of Hinduism to feel that they cannot just say any damn thing against us because we won’t do anything about it. We need to be a force to be reckoned with, a force that is watching what others are doing for or against us, and listening to what they are saying about us, and be ready to stand up and do something about it when it is unjust, or be ready to make changes when it is just. We must unite around a common set of values, concepts and traditions, those that are the core factors of the Hindu identity, and that can be the universal uniting factors for all Hindus. This does not mean we give up our distinctions, lineages or paramparas, but that we focus on uniting on the basis of what we can all easily agree on, such as the basis of the Bhagavad-gita. Everyone knows the Bhagavad-gita, and should know it. There are all kinds of knowledge within it. But the thing that many people seem to forget is that the Bhagavad-gita is a call to defend Dharma. It is a call to action. That was one of the motivating factors for Arjuna from Lord Krishna, that Arjuna must not run away to the forest simply to meditate, which is what he wanted to do, but he must stand up and fight to defend Santana-dharma. And we must do the same because as we can plainly see all around us, that without it the whole world is falling into hell and confusion. As exhibited by the Mahabharata, sometimes when all else fails, you have to stand up and fight to protect Dharma and its spiritual principles. We must become united under common principles, such as the teachings of Bhagavad-gita, united for stopping cow slaughter, united to stop the deceitful conversion practices that try to take people away from Vedic culture, and united for such things as saving the sacred Yamuna and Ganga Rivers from all the pollution that is killing them. We should be united to stop the corruption especially in Indian politics and to keep India the homeland of a dynamic and thriving Vedic tradition, which means the preservation of the Hindu identity. We should be united for preserving all aspects of the Vedic spiritual knowledge, and for passing it to the next generations. We should be united for the protection and promotion of the glorious character of Vedic culture that everyone can appreciate. Who among us cannot join and be united for these points and objectives? And the more people who participate and work together, the easier it is for all of us. The more we work in such concerted efforts, the more we establish a unified, global Vedic community. So, let us all work together, encouraging each other and become more united as Hindus, followers of Sanatana-dharma, and show the world the great contributions that the culture of Vedic Dharma has given and continues to give to all of humanity. If we take care of Dharma, Dharma will take care of us. But we have to take the first step. Together as united Hindus we can do this. That is the potency and power if we stay together, stand together and work together as a united, global Vedic community.